I’d like to inform you (CPI Droid) of an important update to the Integrated Partner section in advertisers’ dashboard. From hereon, advertisers who wish to work with you (CPI Droid) will need to enter your (CPI Droid) configuration page and toggle on the “Activate Partner” switch. This setting activates both attribution and postbacks. 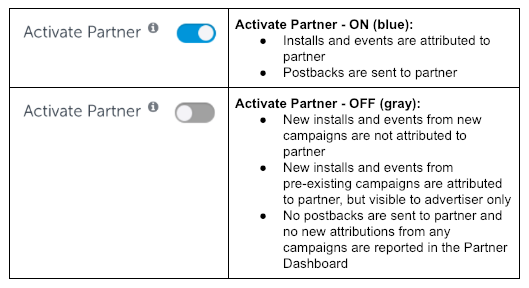 Accordingly, turning off this switch will immediately halt postbacks and reporting of new installs and events in the Partner (CPI Droid) Dashboard. All advertisers have received instructions and guidance regarding this change, however, we recommend that you (CPI Droid) update your client-facing documentation to reflect this step, and update your onboarding procedures to verify that clients have enabled this setting. 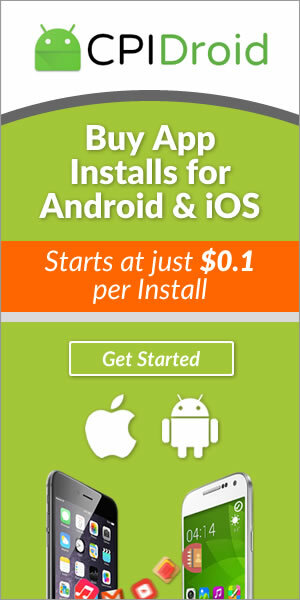 To make the transition smoother, we (Appsflyer) have automatically toggled on the “Activate Partner” switch for apps with which you (CPI Droid) have had active campaigns over the past 3 months.